This mini-series (or rather, brief duet of posts – Part One is here) had its inspiration in a post back in April in which I suggested using the idea of blocking a stage production as a way of approaching outlining a book project. A few people indicated an interest in me pursuing this idea further, and well, I tried. Somewhere along the way, the idea morphed into using concepts from film to enhance the writing process. I’ve come to believe that there are many similarities between directing a film (which I admit I’ve never done – my directing has been confined to choirs) and writing a book. The director takes a story, and through characters, use of location and set, revealing or hiding key elements of the action, camera angles, close-ups and wide shots, makes the story come to life. The writer does much the same thing, albeit without the use of a camera. Not surprisingly, I’ve discovered that other people have visited this idea before me. This was an affirming discovery, an “Aha! I’m on the right track!” discovery, for me. During the discovery process, I found some great resources that are helping me think in film terms as I write – and it has been very helpful for me. The first such discovery was a blog post by children’s/YA author Sarah Aronson. In it, she tells of a breakthrough she experienced in her writing when her advisor urged her to “think like a director” and pointed her toward Robert Olen Butler’s book From Where You Dream: the Process of Writing Fiction. I’d urge you to read not only her blog post, but if it intrigues you, that section of Butler’s book is well worth reading as well. Note – this blog does not do well on Firefox. In Butler’s chapter “Cinema of the Mind” he suggests that the reading process is “a kind of cinema of the inner consciousness.” With that in mind, he discusses various camera shots used by filmmakers, and illustrates his theory by going through examples from authors such as Hemingway and Dickens and showing us the “camera shots” utilized by the authors. Working from this, but putting my own spin on it a bit, I attempted a camera shot outline of part of a chapter book I’ve been working on. It was an interesting process, and I can see that particularly in picture books (which are strongly akin to films, in my estimation) this would be a useful technique. Here is a brief excerpt of my camera shot outline to give you the idea. Pan playground. Show kids stopping their play to look at the new kid. Dolly in for a close-up of Beemer, then of Kimberley. Their expressions show hostility in one way or another. We don’t know why. Pull back and dissolve to Becca and Mom entering the school as bell rings. Kids crowd past them. Camera leads us to door of classroom, through which Beemer and Kimberley enter. Again Becca stops. Camera shows Becca turning as Mom leaves. Her face registers anxiety. Long shot shows Mr. Lewis leading Becca to front of classroom. The trip seems to take forever. Camera shots cut back and forth between Becca and class, with close-ups of Beemer and Kimberley, as she introduces herself. As you can perhaps see, this can help the writer see the visuals, the emotions, the character’s experiences in a sharper perspective. I follow a few screenwriters’ blogs, and I quickly found that the posts on the blog/site “Save the Cat” were particularly helpful. I have also been following a writing friend’s progress in working through Blake Snyder’s book Save the Cat! I was impressed enough by what she has been learning to find a copy of the book at the library and begin reading. I quickly realized that I needed my own copy of this book, and so I celebrated Save the Bookstores Day on Saturday by purchasing Save the Cat! and the sequel, Save the Cat Goes to the Movies. (Alas, the author of these books, Blake Snyder, died far too young. His blog is kept alive by insightful guest posts.) Now that I have my own copy, I will begin working through the book and its exercises systematically. To give you a sense of the way the book’s film approach can be adapted to other writing, one of the things he teaches is the use of a “beat sheet” which is a 15-point outline. By following the template, “Opening Image,” “Theme Stated,” “Set-up,” “Catalyst,” “Debate,” etc., one progresses through the film – or the writing project – covering all the necessary plot points. A blogger named Elizabeth (not me!) has further refined Snyder’s concept. (Note, I feel the need to give a bit of a language warning before linking to her posts.) Her Save the Cat Beat Sheet Spreadsheet for Novels, and her Seven Point Plot System, aka Save the Cat for Pantsers are helpful tools if one is having trouble doing a direct translation from film concepts to novel writing on one’s own. This is just a beginning, but I am looking forward to delving into Save the Cat! 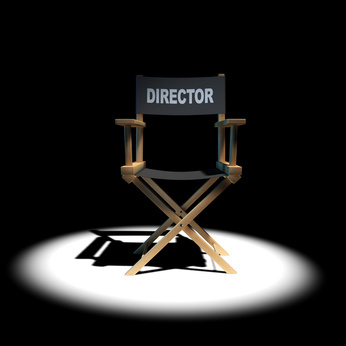 as well as continuing to develop my own ideas about “thinking like a director” as I write. I welcome your thoughts and feedback on this idea! NOTE: I hope you will return on Wednesday for a delightful interview with writer, broadcaster, man of many talents, and my friend, Brian Sibley. Beth, do you find yourself now consciously doing kind of different angled “shots” in your writing? Wide-angle, close-ups etc. Good question, Joanna! I’m still “growing into” this process. I’ve always been a visual writer, seeing the story unfold in my mind and writing what I see. I still have to stop and think about whether a wide angle, two-shot, close-up, etc. is best for the action, so it hasn’t become a totally natural process yet. My hope is that this will give me better perspective on my writing, and will enhance my writing. I may do more posts as time goes by, and I work through Save the Cat, and see how the ideas play out over time. It isn’t second nature at all to me, but I so see how valuable it could be. I think it may apply more to chapter+ books than picture books?? I think it could be applied to picture books insofar as working out how the visuals will tell much of the story, and seeing what still needs to be words, and what can be left for the illustrator, but yes, it likely has more application to chapter books and longer novels for children and adults. Before you mentioned using this method with picture books, my mind immediately went there. I really can see how helpful it could be to see a story from different angles. Liked the example you wrote. Looked at Sarah’s post you highlighted and was intrigued. This has been a very helpful post and something you really have to work at until it becomes second nature. Great post! Thanks, Pat! Yes, it’s definitely something to work towards, but I think it’s also definitely worth the work. I have to agree strongly with one particular thing you mentioned. Picture books are like films…films in still, rather. The best picture books capture each moment in colorful livelliness. It’s as if the illustrator saw the cinematic version in their mind then put it to paper. Yes. And for some writers, I know that’s the process — for me to a certain extent — seeing the action played out in one’s mind, then writing down what is seen on the film screen of the imagination. Thanks, Erik! Glad you’re going to check out Save the Cat! This would probably be helpful for a playwright, like me! Yes, I think it definitely would be, Mary!